The sound of the birds outside was muffled by the heavy brocade curtains of Henderson Manor, as Olivia Henderson pushed aside a lock of long dark hair, and continued her careful inventory of her father’s china. It was a warm summer day and, as usual, her sister had gone off somewhere. Her father, Edward Henderson, was expecting a visit from his lawyers. Nestled as they were in Croton-on-Hudson, nearly a three-hour drive from New York, his attorneys came to see him fairly often. Edward Henderson ran all his investments from here, as well as overseeing the steel mills which still bore his name, but which he no longer ran himself. He had retired from business entirely, two years before, in 1911, maintaining all his holdings, but trusting entirely in his attorneys and the men who ran the mills for him. With no sons, he no longer had the interest in business that he once did. His daughters would never run his steel mills. He was only sixty-five, but his health had begun to fail over the past few years, and he preferred viewing the world from his peaceful perch in Croton-on-Hudson. Here, he could observe the world quietly, and it was a healthy, wholesome life for his two daughters. It was not exciting, admittedly, but they were never bored, and they had friends among all the grand families up and down the Hudson. The Van Cortlandt manor was nearby, as were the Shepards on the old Lyndhurst estate. Helen Shepard’s father had been Jay Gould, and he had died twenty years before, and left the extraordinary property to his daughter. She and her husband, Finley Shepard, ran it beautifully, and gave frequent parties for the young people nearby. The Rockefellers had finished building Kykuit in Tarrytown that year, with its splendid gardens and magnificent grounds, and a house which rivaled Edward Henderson’s just north of them at Croton-on-Hudson. Henderson Manor was a handsome home, and one which people came from miles to see, peering through the gates into the lovely gardens. They could barely see the house from where they stood, shielded as it was by tall trees, and little turns in the road which led to the formal driveway. The house itself sat high on a cliff, looking over the Hudson River. And Edward liked to sit in his study for hours, watching the world drift by, remembering times past, old friends, and the days when his life had moved a great deal more quickly . . . taking over his father’s mills in the 1870’s . . . being instrumental in the many industrial changes at the end of the last century. His life had been so busy then. When he was younger, his life had been so different. Edward Henderson had married when he was young, and lost a wife and a young son to diphtheria. After that he had been alone for many years, until Elizabeth came along. She had been everything any man could ever dream of, a bright shining streak of light, a comet in a summer sky, so ephemeral, so dazzling, so beautiful, and so much too quickly gone. They were married within the year they met. She was nineteen, and he was in his early forties. By twenty-one, she was gone. Much to Edward’s horror, she had died in childbed. After her death, he had worked even harder than usual, driving himself until he was numb. He had left his daughters to the care of his housekeeper and their nurses, but finally, he realized that he had a responsibility to them. It was then that he began building Henderson Manor. He wanted them to have healthy, wholesome lives, out of the city. New York was no place for children in 1903. They had been ten when he’d actually moved them, and now they were twenty. He kept the house in the city and worked there, but he came up to see them as often as he could. At first only on weekends and then, as he fell in love with it, he began spending more time on the Hudson, rather than in New York, or Pittsburgh, or Europe. His heart was there in Croton with his daughters, as he watched them grow, and little by little his own life began moving more slowly. He loved being with them, and now he never left them anymore. For the past two years, he had gone absolutely nowhere. His health had begun to fail three or four years before. His heart was a problem, but only when he worked too hard, or let things upset him, or got terribly angry, which he seldom did now. He was happy in Croton with his daughters. It had been twenty years since their mother had died in the spring of 1893, on a warm balmy day that had appeared to him to be God’s ultimate betrayal. He had been waiting outside, filled with such pride, and so much excitement. He had never dreamed it could happen to him again. His first wife and infant son had died in an epidemic of diphtheria more than a dozen years before. But this time, losing Elizabeth had almost killed him. At forty-five, it was a near mortal blow to him, and he almost couldn’t bear going on without her. She had died in their home in New York, and at first he felt her presence there. But after a while, he came to hate the emptiness of it, and he had hated being there. He had traveled off and on for months after that, but avoiding the house meant avoiding the two little girls Elizabeth had left him. And he couldn’t bring himself to sell the house his father had built, and that he had grown up in. A traditionalist to the core, he felt an obligation to maintain it for his children. He had closed it eventually, and it had been two years since he’d been there. Now that he lived in Croton full-time, he never missed it. Neither the house, nor New York, nor the social life he’d left there. And as the summer sounds droned on, Olivia continued her painstaking inventory of the china. She had long sheets of paper on which she wrote in her meticulous hand, making note of what they needed to replace, and what had to be ordered. Sometimes she sent one of the servants to the house in town to bring something up to them, but for the most part, the city house was closed, and they never went there. She knew her father didn’t like it. Her father’s health was frail, and, like him, she was happy here in their quiet life in Croton-on-Hudson. She had actually spent very little time in New York since she was a child, except for the brief time two years before, when her father had taken them to New York, to present them to society and all his friends. She had found it interesting, but truly exhausting. She was overwhelmed by the parties, the theater, the constant social demands made on them. She had felt as though she were onstage the entire time, and she hated the attention. It was Victoria who had thrived on it, and who had been in a state of total gloom when they returned to Croton at Christmas. Olivia had been relieved to return to her books, their home, her horses, her peaceful walks high on the cliff which led her sometimes to neighboring farms. She loved riding here, and listening to the sounds of spring, watching winter melt slowly away from them, seeing the splendor of the turning leaves in October. She loved taking care of her father’s house for him, and had since she was a very young girl, with the help of Alberta Peabody, the woman who had raised them. She was “Bertie” to them, and the closest to a mother the Henderson girls had ever known. Her eyes were poor, but her mind was sharp, and she could have told the two young women apart in the dark, with her eyes closed. She came to check on Olivia now, and asked her how far she had gotten. She didn’t have the patience, or the eyes, to do this kind of minute work anymore, and she was always grateful when Olivia did it for her. Olivia carefully checked the embroidery, the crystal, the linens. She kept an eye on everything, and she loved doing it, unlike Victoria, who detested all things domestic. Victoria was, in every possible way, different from her sister. “Well, have they broken all our plates, or will we still be able to manage Christmas dinner?” Bertie smiled as she held up a glass of ice-cold lemonade and a plate of gingersnaps fresh out of the oven. Alberta Peabody had spent twenty years caring for the two girls she had come to think of as “her children.” They had become hers at birth, and she had never left them for a day, not since their mother had died, and she had first looked into Olivia’s eyes and realized instantly how much she loved her. She was a short, round woman, with white hair in a small bun at the back of her head. She had an ample bosom where Olivia had rested her head through most of her childhood. She had comforted them whenever they needed it, and whenever their father wasn’t there, which had been often when they were young. For years, he had grieved silently for their mother and kept his distance. But he had warmed toward them in recent years, and softened considerably since his health had begun to fail and he had retired from business. He had a weak heart, which he attributed to the shock and grief of losing two young wives, and the aggravations of modern business. He was far happier now that he was running things from here, and everything could be filtered for him through his attorneys. “We need soup plates, Bertie,” Olivia reported solemnly, brushing the long dark hair back again, totally unaware of her startling beauty. She had creamy white skin, huge dark blue eyes, and thick shining black hair the color of a raven. “We need fish plates too. I’ll order them from Tiffany next week. We must tell the girls in the kitchen to be more careful.” Bertie nodded, smiling up at her. Olivia could have been married by now, she could have had her own soup plates to inventory, instead she was still here, and perfectly at ease, taking care of her father and his house, and all his people. Olivia had no desire to go anywhere. She never even thought of it. She was happy right here at Henderson Manor. Unlike Victoria, who talked constantly about places halfway around the world, or at the very least in Europe. She glowered every time she thought of the house they were wasting in New York, and the fun they might have had there. Olivia looked down at Bertie then with a childlike grin. She was wearing a pale blue silk dress, which reached almost to her ankles, and it looked like a piece of summer sky wrapped around her as she stood there. She had had the dress copied from a magazine, and made by a local seamstress. It was a Poiret design, and it looked lovely on her. It was Olivia who always selected and designed their dresses. Victoria didn’t really care. She let Olivia choose them, particularly, as she put it, since Olivia was her older sister. “The cookies are awfully good today, aren’t they? Father will love them.” Olivia had ordered them especially for him, and John Watson, his principal attorney. “I suppose I should organize a tray for them, or have you already done it?” The two women exchanged a smile, born of years of sharing responsibilities and duties. And slowly, over the past few years, Olivia had grown from child to girl, to young woman, and mistress of her father’s home. Olivia was very much in control of her surroundings, and Bertie knew it. She respected that, and most of the time deferred now to Olivia’s opinions, although she thought nothing of opposing her, or scolding her, when she went out in the pouring rain, or did something childishly foolish, which she was still sometimes wont to do even at twenty. But nowadays Bertie found that less worrisome than refreshing. Olivia was so serious and responsible, that it did her good sometimes to forget all that she was supposed to be doing. “I’ve set the tray up for you, but I told Cook you’ll want to order it yourself at the last minute,” Bertie told her. “Thank you.” Olivia came down the ladder gracefully, and kissed the old woman’s cheek as she wrapped her long, elegant arms around her. Olivia lay her head on Bertie’s shoulder for an instant, like a child, and then, after kissing her cheek affectionately again, she hurried off to the kitchen to see to the tray for her father and his lawyer. She ordered a pitcher of lemonade, a large plate of cookies for both of them, and small watercress and cucumber sandwiches, with paper-thin slices of tomatoes from their garden. There was sherry for them as well, and stronger spirits if they preferred them. Having grown up in her father’s company, Olivia was not a girl who shrank from the thought of men drinking whiskey, or smoking cigars, in fact she liked the smell of them, as did her sister. When she’d approved the linens and the silver tray Bertie had set out, she left the kitchen, and found her father in the library. The curtains were drawn to keep the room cool, they were deep red brocade with heavy fringe, and Olivia adjusted them instinctively as she glanced at her father over her shoulder. “I rather like it.” He smiled proudly at her, well aware of her outstanding domestic talents. He often said that if it weren’t for Olivia, he couldn’t have run his home, or certainly not as smoothly. He had even jokingly said that he was afraid one of the Rockefellers might try and marry her, just so she could run Kykuit. He had been over to see it recently, and it was a spectacular home that John D. Rockefeller had built. It had every possible modern amenity, including telephones, central heating, and a generator in the carriage barn, and Olivia’s father had teased that it made their home look like a bumpkin’s cottage, which was hardly the case, but Kykuit was certainly their grandest neighbor. “This heat is good for my old bones,” he said comfortably, lighting a cigar, as he waited for his lawyer. “Where’s your sister?” he asked casually. It was always easy to find Olivia somewhere in the house, making lists, writing notes to the staff, checking on something that needed to be fixed, or arranging flowers for her father’s table. Victoria was a great deal more difficult to keep track of. “I think she went to play tennis at the Astors’,” Olivia said vaguely, with no clear idea of where she was, but only a vague suspicion. “Typical of her,” he said with a rueful grin at his older daughter. “I believe the Astors are in Maine for the summer,” as were most of their neighbors. The Hendersons had gone to Maine in previous summers too, and Newport, Rhode Island, but Edward Henderson no longer liked leaving Croton, even in the hottest of summers. “I’m sure you did.” He looked amused. “And God only knows where your sister is, or what mischief she’s been up to.” But they both knew that her vagaries were fairly harmless. She was an individual, a person on her own, and full of spirit and determination. She was as independent as their late mother had been, and in some ways, Edward Henderson had always suspected that his younger daughter was faintly eccentric. But as long as she didn’t indulge it too excessively, it was something he could tolerate, and she could come to no great harm here. The worst she could do was fall out of a tree, get heat prostration walking miles to her nearest friend’s, or swim a little too far down the river. The pleasures were all quite genteel here. Victoria had no romances in the neighborhood, no young men in hot pursuit, although several of the young Rockefellers and Van Cortlandts had certainly shown considerable interest in her. But everyone was well behaved, and even her father knew that Victoria was actually far more intellectual than romantic. “I’ll look for her after I leave you,” Olivia said quietly, but neither of them were particularly concerned, as the tray from the kitchen was brought in, and she told the kitchen boy where to put it. “You’ll need another glass, my dear,” her father instructed her as he relit his cigar and thanked the boy whose name he never remembered. Olivia knew all of the people who worked for them, she knew their names, their histories, their parents, their sisters, their children. She knew their foibles and their strengths, and whatever mischief they occasionally got into. She was indeed the Mistress of Henderson Manor, perhaps even more than her own mother would have been, had she lived. In some ways, Olivia suspected that their mother had been far more like her sister. “Is John bringing someone with him?” Olivia looked surprised. Her father’s attorney usually came alone, except when there was some problem at the mill, and she had heard nothing about it this time if there was. Usually, their father shared that kind of information with them. All of that would be theirs one day, although more than likely, the girls would sell the mills, unless they married men who were capable of running them, but Edward considered that less than likely. “But John’s not that old,” Olivia looked surprised, and almost as disturbed as her father, “and neither are you, so stop talking like that.” She knew he had begun to feel ancient since he’d been unwell, and even more so since he’d retired. “I am ancient. You have no idea what it’s like when everyone around you starts disappearing,” he said, scowling and thinking of the new attorney he didn’t want to meet that afternoon. “No one is going anywhere, and neither is John for the moment, I’m sure,” she said reassuringly, as she poured him a small glass of sherry and handed it to him, with the plate of fresh ginger cookies. He took one, and looked extremely pleased as he looked at her. “Why did he change?” she asked, intrigued. She liked hearing about her father’s business. Victoria did too, but she was far more hotheaded in her opinions. Sometimes the three of them had rare go-arounds about some issues of politics or point of business, but all three of them thoroughly enjoyed it. Perhaps because he had no son, Edward Henderson loved discussing intelligent matters with his daughters. “According to John, the new man, Dawson, had a hard blow last year. Actually, it made me feel sorry for him, and I think that’s why I let John bring him . . . it’s the sort of thing I’m afraid I understand rather too well.” He smiled sadly at her. “He lost his wife last year on the Titanic. She was a daughter of Lord Arnsborough’s, and I think she’d gone home to visit her sister. Damn shame she came back on the Titanic. Nearly lost his boy too. Apparently, they got him off in one of the last lifeboats. It was already too full, and she put another child in her place, and said she’d come on the next one. There was no next one, and she didn’t get in the last of the lifeboats. I gather he left the firm he was with, took the boy, and spent the year in Europe. It only happened sixteen months ago, and I think he’s only been with Watson since May or June. Poor devil. John says he’s very good, but a bit gloomy. He’ll come out of it, we all do. He’ll have to, for the boy’s sake.” It reminded him all too much of when he’d lost Elizabeth, although his loss had been due to complications of childbirth and not a disaster of the magnitude of the Titanic.. But still, it had been disastrous to him, and he knew only too well how the man felt. Edward Henderson sat lost in thought for a moment, as did Olivia, digesting what her father had said, and both of them looked startled when they looked up and suddenly saw John Watson standing in the doorway. “Well, how did you get in unannounced? Have you taken to climbing in the windows?” Edward Henderson laughed at his old friend, as he stood to greet him, and crossed the room looking extremely healthy. He was in good form these days, thanks to Olivia’s constant care, and in spite of his complaints about how badly he was aging. “No one pays any attention to me at all,” John Watson laughed. He was tall, and had a shock of white hair, much like Olivia’s father, who was also tall and aristocratic, and had once had the same shining black hair as his daughters. The blue eyes were the same too, and they came alive now as he chatted animatedly with John Watson. The two men had known each other since school. Edward had actually been the closest friend of John’s slightly older brother. He had been dead for years, and Edward and John had long since become fast friends, and associates in all of the Henderson legal matters. Seeing them engaged in earnest conversation almost at once, Olivia glanced at the tray again, to see that all was in order, and prepared to leave the room, and then she turned and was startled to almost walk into the arms of Charles Dawson. It was odd seeing him there, after they had just talked about him, and embarrassing to know so much of his loss, and his grief, without ever having met him. As she looked at him, he seemed very handsome and somewhat austere, and she thought she had never seen sadder eyes on anyone. They were like dark pools of green, almost the color of seawater. But he managed a small smile when her father introduced them. And as they spoke, she saw something more than just tragedy about him. There was great kindness in his eyes, and gentleness, it almost made her want to reach out and console him. “How do you do,” he said politely, shaking her hand, and seeming to take every inch of her in with interest. He didn’t look her over improperly, although he was certainly aware of how beautiful she was, but he seemed mostly curious about her. “Lemonade would be fine.” He smiled at her again, and the two older men went back to their conversation. She gave John Watson a glass of lemonade as well, and all three men gladly accepted the gingersnap cookies. And then, having fulfilled her responsibilities to them, Olivia quietly withdrew and closed the doors behind her. But as she left the room, something about the look in Charles Dawson’s eyes haunted her, or maybe it was just because she knew his story from her father. She wondered how old his little boy was, and how Charles managed without a wife, or perhaps he had someone in his life by now. She tried to shake off her thoughts of him, it was ridiculous to be worrying about one of her father’s attorneys, and quite inappropriate in fact, she scolded herself, as she turned quickly to go back to the kitchen, and nearly collided with her father’s under-chauffeur. He was a boy of sixteen who had worked in the stables for years, but knew a great deal more about cars than he did about horses. And since her father had a great love for the modern machines, and had bought one of the earliest cars while they still lived in New York, Petrie, the stable boy, had made a rapid and pleasing transition. “What is it, Petrie? What’s wrong?” she asked matter-of-factly. He looked totally disheveled, and completely flustered. “I have to see your father right away, miss,” he said, obviously near tears, as she tried to lead him away from the library before he disturbed her father in his meeting. “I’m afraid you can’t. He’s busy. Is there something I can help you with?” she said gently but firmly. He hesitated, and then looked around, as though afraid someone would hear him. “It’s the Ford.” He looked terrified as he told her. “It’s been stolen.” His eyes were round with tears, he knew what would happen to him when word got out. He would lose the best job he could ever have, and he couldn’t understand how it had happened. “I don’t know, miss. And I seen it just this morning. I was cleaning it. It was all bright and shiny like the day your father bought it. I just left the garage door open for a little while, to air the place out, because it gets so hot, you know, with the sun directly on it, and half an hour later, it was gone. Just gone.” His eyes filled with tears again, and Olivia put a gentle hand on his shoulder. There was something about his story which had struck her. “What time would that have been, Petrie? Do you remember?” Her voice and her manner were extremely calm, most unusually so for a girl of twenty, but she was used to handling minor crises on the estate daily. And this one had a particular ring to it. “It was eleven-thirty, miss. I know it exactly.” Olivia had last seen her sister at eleven. And the Ford he was so distraught over was the car her father had bought the year before for staff purposes, errands into town, missions to be carried out in something other than the Cadillac Tourer he was driven in whenever he left Henderson Manor. “You know, Petrie,” Olivia said quietly, “I think you ought to let the dust settle for a moment. It’s entirely possible that some member of the staff might have borrowed it for an errand, without thinking to mention it to you. Perhaps the gardener, I asked him to look at some rosebushes for me over at the Shepards’, perhaps he forgot to tell you.” She was suddenly certain that the car hadn’t been stolen, and she needed to stall him. If he told her father, then the police would be called, and that would be terribly embarrassing. She couldn’t let that happen. “Well, perhaps someone else is driving it, but I don’t think we should tell my father just yet. Besides, he’s busy anyway, we’ll wait until dinnertime, shall we? And we’ll see if anyone brings it back. I feel sure they will. Now, would you like some lemonade and cookies in the kitchen?” She had led him slowly in that direction, and he seemed slightly mollified, though still very nervous. He was terrified he’d lose his job when her father found out that he’d let the car get stolen right out of the garage. But Olivia continued to reassure him as she poured him a glass of lemonade, and handed him a plate of the irresistible cookies, as the cook watched them. She promised to check in with Petrie later in the day, and made him promise not to whisper a word of it to her father in the meantime, and then with a wink at the cook, she hurried out of the kitchen, hoping to avoid Bertie, whom she saw advancing on her from the distance. But Olivia was faster than all of them. She slipped out a pair of long French doors into the side garden, and sighed as she felt the crushing heat of the northern New York summer. This was why people went to Newport and Maine. It was unbearable here in the summer and no one stayed, if they could possibly help it. By fall, it would be lovely again. And in spring, when the endless winter finally came to a close, it was always idyllic. But winters were brutal, and summers were more so. Most people went to the city in winter, and the seashore in summer, but not her father anymore. They stayed here in Croton-on-Hudson all year round now. Olivia wished she had time to go swimming that afternoon, as she walked absentmindedly down one of her favorite paths toward the back of the property, where there was a beautiful, hidden garden. She loved to come riding here, and there was a narrow gate to their neighbor’s property which she would often slip through in order to enjoy her ride on his property as well, but no one minded. They all shared these hills like one happy family, and the good friends they were who had built here. In spite of the heat, she walked a long way that afternoon, no longer thinking of the lost car, but oddly enough, she found herself thinking of Charles Dawson, and the story her father had told her. How awful to lose your wife so tragically, and so dramatically. He must have been sick with worry when he first heard. She could just imagine it, and she sat down on a log finally, still thinking of him, and as she did, she heard the rumble of a motorcar in the distance. She sat very still for a minute then, listening, and looked up to see the missing Ford scraping through the narrow wooden gate at the back of their property, with a sudden grating noise, as the driver took the rubber and the paint off the side of the running boards just to get through it. But despite the obviously tight fit, the car didn’t slow for a moment. Olivia watched in astonishment as the car chugged into full view, and her sister grinned at her from behind the wheel, and waved. And in the hand that Victoria waved at her was a cigarette. She was smoking. Olivia didn’t move from where she sat, she just stared at her and shook her head, as Victoria stopped the car and continued to smile at her, and blew a cloud of smoke in her direction. Olivia was not surprised to see her there, but she wasn’t happy either. She was all too familiar with her younger sister’s exploits, and the two women sat looking at each other, the one perfectly calm, and obviously not pleased, the other greatly amused at her own indiscretion. But the most remarkable thing of all was that except for the difference of expression, and the fact that Victoria’s hair seemed looser and more windblown than Olivia’s, the two women were totally identical. 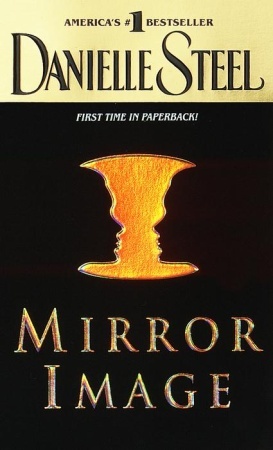 For each of them, it was like looking in the mirror. The same eyes, the same mouths, the same cheekbones and hair, right down to the same gestures. There were infinitesimal differences about each of them, and there was an aura of easygoing good nature about Victoria that more than bordered on mischief, and yet one would have been hard-pressed to tell them apart if one had to. Their father often made mistakes when coming upon one of them alone in a room or on the property somewhere, and the servants mistook them constantly. Their friends in school, when they’d gone and hadn’t been tutored at home, had absolutely never been able to tell them apart, and their father had eventually decided to have them taught at home, because they caused so much consternation at school and attracted so much attention. They switched places whenever they chose, tormented their teachers mercilessly, or at least Victoria did, or so Olivia claimed. They had a wonderful time, but their father seriously doubted that they were getting an education. But being tutored at home had left them isolated, and with only each other’s friendship. They had both missed going to school, but their father was emphatic about it. He was not going to have them behaving like circus freaks, and if the school couldn’t control them, Mrs. Peabody and their tutors could. In fact, Mrs. Peabody was the only living person who unfailingly knew exactly who was who. She could tell them apart anywhere, back, front, even before they spoke. And she also knew the single secret from which one could distinguish them, one small freckle which Olivia had at the top of her right palm, and Victoria had identically and equally minutely on her left one. Their father knew about it too, of course, although none of their friends did, but it was too much trouble to remember to look for it. It was easier to just question them, and hope they were telling the truth about their identities, which they usually did, now that they were older. They were totally identical, mirror twins, and had caused a furor all around them since birth, right up till the present. It had turned their presentation to society in New York into a total uproar two years before, and it was why their father had insisted on bringing them home that year even before Christmas. It was just too difficult having that much attention everywhere they went. He felt they were being treated as curiosities and it was far too exhausting. Victoria was crushed to have to come home, although Olivia didn’t mind it. She had been ready to come back to Croton. But Victoria had been chafing at their life ever since, and all she ever seemed to talk about anymore was how incredibly boring life was on the Hudson. She wondered how any of them could bear it. The only other subject that truly inspired Victoria was that of women’s suffrage. It was the fire with which she burned, the passion which lit her every moment. And Olivia was sick to death of hearing about it. All Victoria seemed to talk about anymore was Alice Paul, who had organized the march in Washington that April, where dozens of women were arrested, forty were injured, and it took a cavalry troop to restore order. Olivia had also heard far too much about Emily Davison, who had been killed two months before, when she ran in front of the King’s horse at the derby, in England; and then there were the Pankhursts, mère et filles, who were busy wreaking havoc in the name of women’s rights in England. Just talking about them made Victoria’s eyes dance, and Olivia roll hers in boredom. But now Olivia sat waiting for her sister’s excuses and explanations. “So did they call the police?” Victoria asked, looking amused, and not in the least apologetic. “No, they did not call the police,” Olivia said sternly. “I bribed Petrie with lemonade and cookies and told him to wait till dinner. But they should have. I should have let them. I knew it was you.” She tried to look angry, but something in her eyes said she wasn’t, and Victoria knew it. “How did you know it was me?” Victoria looked delighted, and not contrite for a single instant. “No, you won’t,” Victoria said confidently, with a glint in her eyes that would have reminded their father of their mother. Physically Victoria was the portrait of Olivia, right down to the blue silk dress she was wearing. Olivia laid her sister’s clothes out for her every morning, and Victoria always put them on without question. She loved being a twin, always had, they both did. It suited them perfectly. And it had gotten Victoria out of every scrape in her life. Olivia was always either willing to make excuses for her, or even to trade places with her, either to get her out of a jam, or when they were children, just because sometimes it was fun to do it. Their father had often lectured them about being responsible, and not taking advantage of their unusual circumstances, but sometimes it was hard not to. Everything about them seemed unusual. They were closer than two people could ever have been. And sometimes, to each of them, it almost seemed as though they were the same person. And yet, in so many ways, deep inside, they each knew they were very different. Victoria was bolder, and both far more mischievous and more adventuresome. She had always been the one who’d gotten into trouble. She was so fascinated by a broader world than Olivia was. Olivia was happier to stay at home, and let her boundaries be those set by family, home, and tradition. Victoria wanted to fight for women’s rights, she wanted to demonstrate and speak. She thought marriage was barbaric, and unnecessary for truly independent women. Olivia thought all of that was quite crazy, but she also thought it was only a passing fancy of her sister’s. There had been others, political movements that had fascinated her, religious ideals, intellectual concepts she had read about. Olivia was far more down to earth, and much less willing to ride into battle for obscure causes. Her world was a great deal smaller. And yet, to the naked eye, and the uninitiated, they appeared to be one and the same, even to those who knew them. “So when did you learn to drive?” Olivia asked, tapping her foot, as Victoria laughed from the car. She had just tossed the last of her cigarette into the dirt near where her sister was sitting. Olivia always played the role of the stern older sister. She was eleven minutes older than Victoria, but it was those eleven minutes that had made all the difference. And in sadder moments, when they bared their souls, Victoria had long since confessed to her twin that she felt she was the one who had killed their mother. “He did not!” Victoria had defended Him, in outrage. And Mrs. Peabody had been appalled when she discovered what the argument was about, and later on she had explained that childbirth can be very difficult at best, and having twins is something superhuman that only angels should attempt. And clearly, their mother had been an angel, had deposited them on earth with their father who loved them so much, and had returned to Heaven. It settled the question of blame, at the time, but Victoria had always secretly felt that she had in fact killed their mother, and Olivia knew it, and nothing she had ever said in all their twenty years had ever changed that. Neither of them were thinking of that now, as Olivia questioned Victoria about her driving. “I taught myself last winter.” Victoria shrugged in amusement. “Or into a tree more likely.” Olivia refused to be mollified. Her sister could have killed herself tooling around the countryside in a car she really didn’t know how to drive. It was crazy. “And your smoking is disgusting.” But at least that she’d known about it for a while. She had found a package of Fatimas in their dresser that winter, and been horrified. But when she mentioned it, Victoria only laughed and shrugged, and refused to comment. Victoria hesitated for a long moment, while Olivia waited. She was expecting an answer, and Victoria always told her the truth. The two had no secrets, and the few times they did, the other always instinctively knew the truth. It was as though they each always knew what the other was thinking. “Confess,” Olivia said sternly, and Victoria suddenly looked much younger than twenty. “Oh for God’s sake, Victoria, what are you doing? Father will be calling the police if you get yourself into demonstrations or anything of the sort. More than likely, you’ll be arrested, and Father will have to bail you out,” she said in sudden outrage, but Victoria did not look discouraged by the prospect, on the contrary, she seemed to like it. “Don’t be such a stiff. This way, no one will know which one of us it is.” As always, their being so totally identical was an excellent cover. No one ever knew which one did anything, which served Victoria’s purposes better than her sister’s, who rarely needed a scapegoat. “They’d know, if they had any brains,” Olivia grumbled as she got in cautiously, and Victoria roared off across the bumpy back road, while Olivia complained loudly about her driving. Victoria offered her a cigarette then, and as Olivia was about to read her the riot act again, she suddenly started to laugh instead at the absurdity of the situation. It was hopeless to try and control Victoria, and Olivia knew it, as Victoria drove the car right into the garage and almost ran over Petrie. He stared at them with his mouth open, as they both got out in unison, both thanked him solemnly and Victoria apologized for the minor damage. “But I thought . . . I . . . when did you . . . I mean . . . yes, Miss . . . thank you . . . Miss Olivia . . . Miss Victoria . . . Miss . . .” He had no idea which was which, who had done what, and had no intention of trying to find out either. All he had to do was replace the rubber on the running board and touch up the paint now. At least the car hadn’t been stolen after all. And looking very dignified, the two young women walked back to the house arm in arm, and up the front steps, as they began to giggle. “Disgusting. My days of covering for you are over,” Olivia said, wagging a finger at her, but loving her more than ever. She loved being with her. Her twin was her best friend, and like the other side of her own soul. They knew each other better than any two people could ever know anyone, and Olivia was at her happiest, they both were, when they were together. Although Victoria certainly seemed to spend enough time going off on her own and getting into mischief. The two girls were just walking through the main hall, talking and laughing, as the library door opened and the three men walked into the hall, still talking about their own plans and decisions. And as they saw them, the two girls fell silent, and Olivia immediately saw Charles again, and watched him, as he stared at both of them, totally startled and confused by what he was seeing. He looked from one to the other repeatedly, as though trying to derive an explanation in his own mind for two women so totally identical, and so beautiful, and yet it was as though he sensed a difference between them. His eyes were riveted on Victoria, with her hair slightly more windblown than Olivia’s, her dress identical, yet somehow more easily worn, there was something irreverent and shocking about her. And yet, to the naked eye, one couldn’t see how outrageous she was, but one could sense it. “I’m afraid you did, sir,” Charles Dawson said, blushing, peeling his eyes off of Victoria, and glancing at Olivia again in confusion, and then back at their father. They were used to it, and were amused, but he obviously wasn’t. “Merely an optical illusion, don’t worry about it,” Edward Henderson teased him. He liked Charles. He seemed to be a good man. And they had had a very good session, full of bright new ideas, and ways to improve his businesses, and protect his investments. “It must have been the sherry.” He grinned at the younger man, and Charles Dawson laughed, suddenly looking boyish. He was thirty-six years old, but in the past year, he had come to look so serious that his friends said he looked suddenly much older. And now, he looked like a boy again as he stared in confused disbelief at the two beauties before him. And even more confusingly, they moved toward him in unison, unconscious of how totally their movements mirrored each other. They each shook hands with him, and Edward introduced Olivia again, and Victoria for the first time, and they both laughed, and pointed out to their father that he had gotten it wrong, which made Charles laugh even more. “Does he do that often?” he asked, feeling more at ease with them than he had a moment before, though still quite dazzled. It would be impossible not to. “All the time, though we don’t always tell him,” Victoria answered, meeting his eyes squarely. Charles seemed fascinated by her, as though he could sense something unusual about her. In the subtlest of ways, she was more sensual than her sister, yet the clothes, the look, the hair were the same, but the inner workings weren’t. “When they were very young,” Edward explained, “we used to put different-colored hair ribbons in their hair, to identify them. It worked perfectly, and then one day, we discovered that the little monsters had learned to take off their hair ribbons and tie them again, very carefully, to confuse us. They would trade places that way, and it went on for months before we discovered it. They were quite dreadful as children,” he said, with obvious pride and affection. Despite his dislike for the public stir they caused whenever he took them out, he adored them. They had been the final gift of a woman he had loved with his entire soul, and he had never loved anyone again after her, except her daughters. “Are they better behaved now?” Charles asked, still amused by them, and the shock they had caused him. He had had absolutely no warning that there even were twins, neither from Edward Henderson, nor John Watson. “Yes, sir,” Olivia said quietly with a smile, knowing that the warning was not meant for her, but for her sister. Suspecting that he wasn’t quite sure at the moment which of them he was addressing, Olivia could always tell when he wasn’t certain. But Victoria wasn’t making any promises: her eyes were dancing at the prospect of a month in the city. “Are you serious?” she asked, wide-eyed with delight. “No, about New York, I mean.” She looked from her father to the lawyers, and they were all smiling. “Oh please, Daddy,” Victoria said, clapping her hands and doing a little pirouette on one heel and then grabbing her sister by the shoulders. “Think of it! New York, Ollie! New York!” She was beside herself with joy and excitement, and it made her father feel guilty when he thought of how isolated they were here. They were of an age where they belonged in the city now, meeting people, and finding husbands. But he hated the thought of them leaving him forever, particularly Olivia. She was so helpful to him, she did so much for him. What would he ever do without her? But he was worrying prematurely. They hadn’t even packed their bags and gone to the city yet, and he already imagined them married, and himself abandoned. “I hope we’ll see more of you, Charles, when we come to the city,” Edward said as he shook his hand finally in the doorway. Victoria was still talking about New York to Olivia, paying no attention at all to the two men who had come to visit. And Olivia was quietly watching Charles as he said good-bye to their father. He assured Mr. Henderson that he would see a great deal of him at the office, as long as John Watson was willing to let him handle his business. John assured him that he would, and Edward urged Charles to come to see them at the house as well, as Charles thanked him politely for the invitation. And as he left, Charles glanced over the older man’s shoulder and looked into Victoria’s eyes again. He wasn’t sure which one she was, but he felt the oddest pull whenever he looked at her. He couldn’t have explained it if someone had asked him to, it was a kind of electricity he felt from her, and not from her sister. It was the oddest feeling not knowing which was which, and yet he was fascinated by both of them. He had never met anyone like them. Edward Henderson walked the men to their car, and as they drove away Olivia stood watching them at the window. And despite her wild excitement over New York, Victoria noticed. “What’s that all about?” She had seen Olivia’s intense look at the car driving slowly down their driveway. “What do you mean?” Olivia asked, turning away to go and check on the library, and make sure the tray had been removed directly after the meeting. “You’re looking awfully serious, Ollie,” Victoria accused. They knew each other far too well. It was dangerous sometimes, and at others merely annoying. Olivia nodded, and made no comment as she walked into the library to escape her sister. And when she emerged again, satisfied that the tray was gone, Victoria had gone upstairs to change for dinner. Olivia had laid her clothes out for her earlier that afternoon. They were both going to wear a white silk dress, each with an aquamarine pin, a pair that was their mother’s. And a few minutes later, Olivia went to the kitchen to find Bertie. She knew instantly that she was Olivia, and not her sister. “Are you all right?” she asked Olivia, looking worried for a moment. It had been a terribly hot day and she knew Olivia had been out walking. And the young woman looked suddenly very pale now. “I’m fine. Father has just told me we’re going to New York at the beginning of September. We’re going to stay for a month or two, while he does some business.” The two women exchanged a smile. They both knew what that meant. An incredible amount of work and planning to open the house in New York. “I thought you and I could get together tomorrow morning to start making plans,” she said quietly. She had a great deal to think about, a lot to do for him, most of which her father was entirely unaware of. “You’re a good girl,” Bertie said softly to her, touching the pale cheek, as she looked at the huge blue eyes, wondering if something had upset her. Olivia was feeling something she had never felt before, and she was finding it unnerving and confusing. Even more so, worrying that Victoria was going to march right into her thoughts and expose them. “You work so hard for your father,” Bertie praised her. She knew them both so well, and loved them both with all their similarities and differences. They were both good girls, as different as they were, beneath the surface. “I’ll meet with you tomorrow morning then,” Olivia said quietly, and then left the kitchen to go upstairs to change. She went up the back stairs this time, trying to clear her thoughts, so Victoria wouldn’t look right into them like a body of clear, translucent water. It was impossible to keep secrets from her, impossible for either of them. They had never even tried to. But as she tried to think of other things, as she approached their huge room where they shared the same canopied bed they’d slept in all their lives, Olivia found she couldn’t get her mind off of him. All she could think of were those green eyes, those deep dark pools that led straight to the soul of the man who had lost his wife to the Atlantic. She closed her eyes for a moment then as she turned the knob, and forced herself to think of more mundane things, like the new sheets she would probably need to order for New York, and the pillowcases she needed to bring for her father. She filled her head with banalities, and then she walked briskly across the room to her sister. 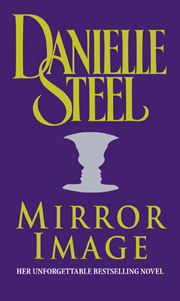 Excerpted from Mirror Image by Danielle Steel Copyright © 1998 by Danielle Steel. Excerpted by permission of Dell, a division of Random House, Inc. All rights reserved. No part of this excerpt may be reproduced or reprinted without permission in writing from the publisher.